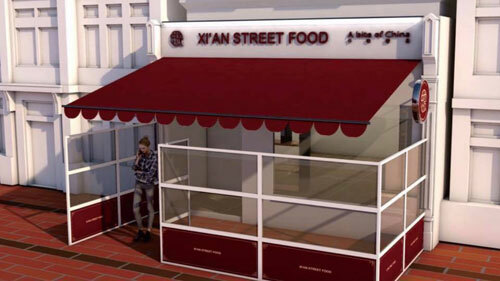 Xi’An Street Food is located at 28 South Anne Street, Dublin 2. 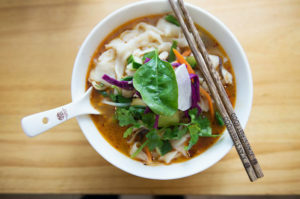 The casual restaurant showcases and brings traditional and authentic Chinese food culture to Dublin. Our goal in our Dublin restaurant is to remain authentic by honouring the thousand year old culture and taste of Xi’An. Xi’An is one of the oldest cities in all of China and as the starting of Silk Road has had many years of culture and time to perfect its unique flavours and foods. At Xi’An Street Food in Dublin we are recreating these great flavours every day with our unique Chinese dishes. 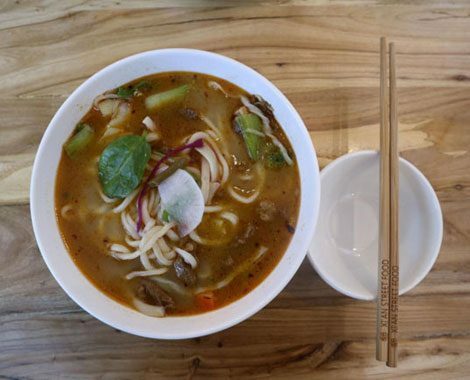 We here at Xi’An Street Food in Dublin believe in real food and also real flavours. 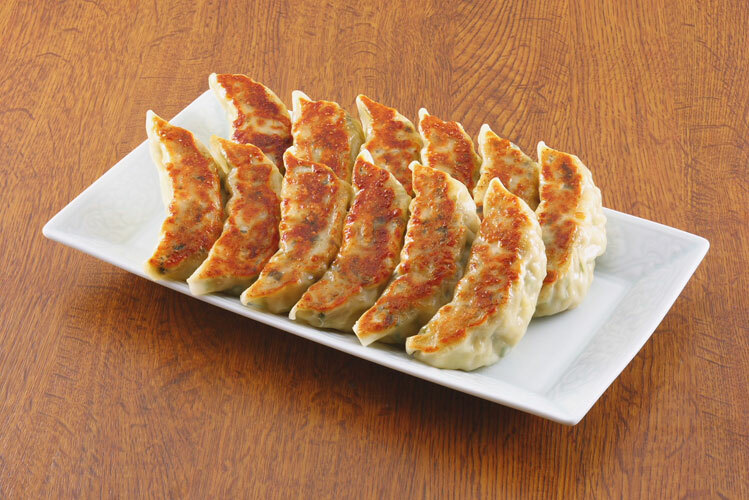 All of our dishes are cooked to order with fresh ingredients and with no artificial flavouring. You will taste in our dishes a rich mix of herbs and spices but what you will not taste is MSG, our food can stand on its own feet. 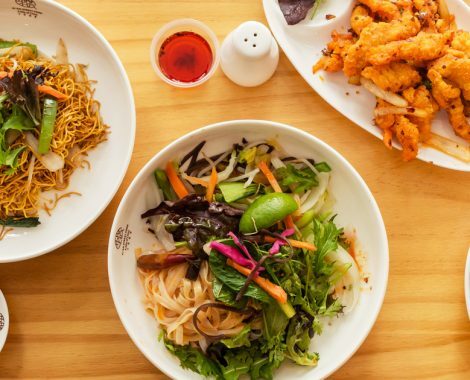 We understand that food should taste good and be good for you, so we use only the finest ingredients, 100% Irish beef, Halal chicken and Halal beef so that our food can be enjoyed by all. 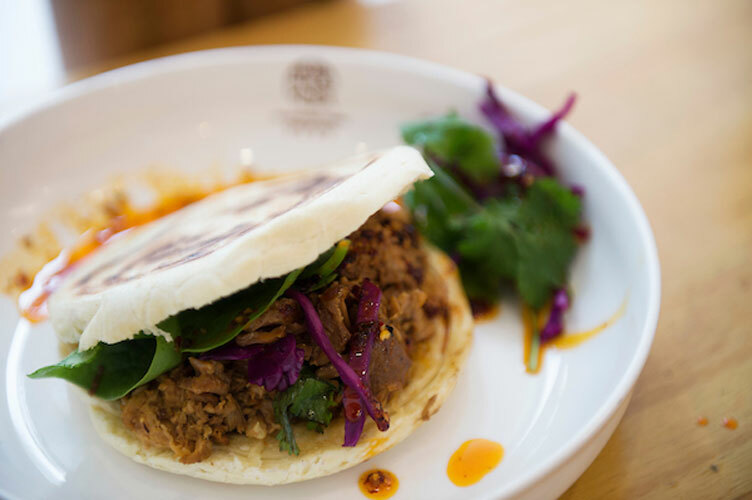 Our restaurant menu includes the Xi’An meat burger (known as Roujiamo), which is like a hamburger, but with a much longer history. 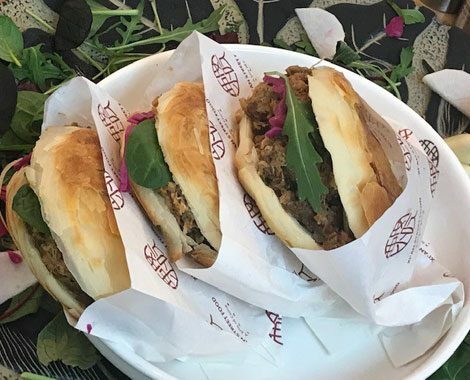 Roujiamo is possibly the world’s oldest sandwich or hamburger since this bread dates back to the Qin Dynasty and the meat to the Zhou Dynasty. There are just two elements — baked leavened bread and shredded braised meat. A good Chinese burger (jiamo) should always be baked using a traditional furnace instead of the more common electric oven. Lean pork is braised for hours – then hand-shredded and finally pocketed in the bread. Another popular menu item is Biang Biang noodles, which is a very popular dish in Shaanxi province. This is where it all began! 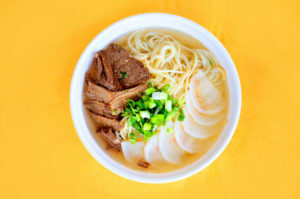 Biang Biang noodles are named after the unique sound made as the large belt-like noodle dough is slapped against the counter when they being are being pulled. 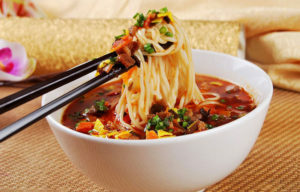 The result is an extremely long, thick noodle topped with chili, pork and vegetables such as carrots, greens and potato. Don’t forget to bring your camera as it is likely to be the longest noodle you’ll ever have! This is like food theatre, as you can watch the food being prepared. 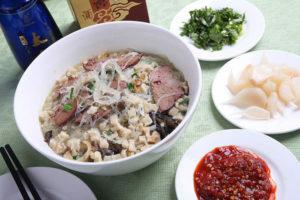 Chinese food historian and well known author, Andrew Coe once described Xi’An regional fare as representing the wave of the future in Chinese food.” While Anthony Bourdain a big fan, Xi’An food is sure to set the standard for Chinese food in the west. Biang Biang noodles which originate from the Shaanxi province are the signature dish. The name comes from the unique sound made when the large belt-like noodle dough is slapped against the counter as they are freshly-pulled.